October | 2014 | Can Men Cook? And the final chicken soup…more leftovers! 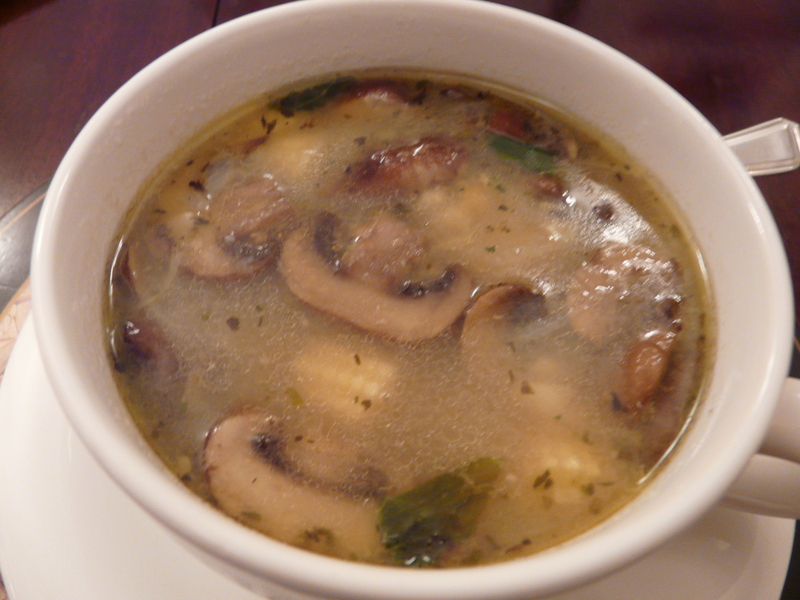 Yes – the fourth day of leftovers – just lovely delicious soup! Then – soup had onion which was in the stock,so just left them in. And we had some mushrooms and some skinny bits of dwarf sweet corn.. Zapped them in the microwave, and fried off the sliced mushrooms in butter and olive oil – adding dried herbs and lemon and some ripped basil leaves. Leftovers – food for free? Just a big thought here. I wonder if we could save the world from global warming if us wastrels in the West didn’t throw away 30% of the food we buy? Scary prospect ? Of course….but we could all make it more like 20% been us. How? It is simpler to do than you think. What it is harder to get our mind around it. Here the excuses I have heard over the years for throwing food away. It tastes funny, doesn’t it? I’ve got to have fresh! People will think I am mean! The last one is the realistic one. And probably the only one I will accept! The rest are both wasteful and a criminal waste of food that can easily be tastier second time around! Look, this is a bit like saying “jeepers, I’d never buy a second hand bed…”. But you would sleep in a hotel bed, that has had hundreds of scabby people in it (not all at once, I know, but you get the drift…). So, you’d never reheat food? Never bought a ready meal? Never bought a frozen meal to heat in the oven or microwave? Never put a take away in the oven because it cooled a bit on the way home? What do you think this is if not left overs equivalent? We need a new name because left overs sounds cheap and negative. Can I suggest recycling? Or the marinated half. Or “this is not for sharing because it is too good!”. It is a well known fact that curries, stews and Scouse (yes you will learn more about that in my book – and recipe will be next week!) taste better day 2. But you can go a lot further if you plan ahead. Here’s the link back to the 4 day chicken. Highlights? 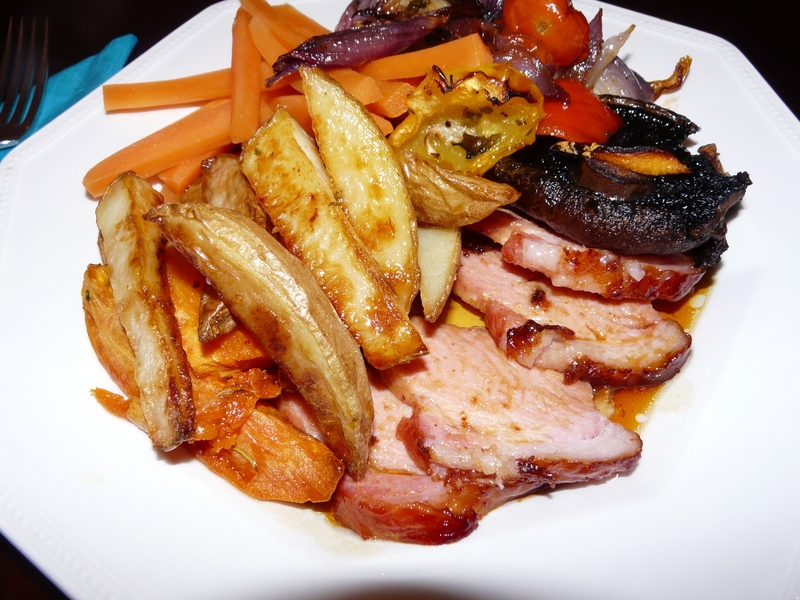 Day 1 – roast. Usually leg each and a bit of breast (a bit from each side with attached hot and juicy skin. Day 2. Repeat. Obviously, not with the legs! But you can get a few portions out of the breast meat again. And you did make enough extras on the vegetables to be able to reheat for this feats? And enough gravy? Day 3 use the lovely bits of chicken to make a risotto. And day 4 – you have your stunning soup. Eat with loads of hunks of fresh bread. You see? That bit is easy. You may still be worried about the wholesomeness of your food. Look, people did this before refrigerators. You can keep everything cool and fresh. Buy a posh chicken to start with, and you can’t go wrong. Any more highlights from the last fortnight for us? 2 day M&S 10 quid meal deal. It was a small roast. We did some extra veggies. And it was grand. Looks good? 2. Sausage and mash – day 1. Day 2? The extra 2 sausages were added to fried potatoes and spring onion, and 2 beaten eggs were added to make a sort of Spanish omelette. You just need a little imagination, and to recycle less – just recycle it onto your plates!